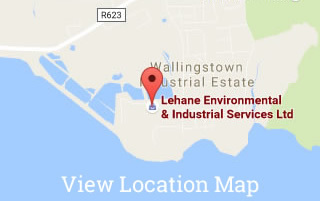 Lehane Environmental is a specialist Tank Cleaning Contractor to the Oil Industry. 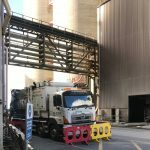 Petroleum Tanks can be highly volatile and so safety is of paramount importance when engaging in Tank Cleaning Operations to ensure the welfare of site personnel and the general public. Lehane Environmental can conduct Bund Integrity Testing to ensure compliance with EPA Guidance Document. Firstly a visual assessment will be carried out and bund storage volume calculated prior to hydrostatically testing the bunds. Bunds are filled and left to rest and measurements are taken over a 24 hour period. 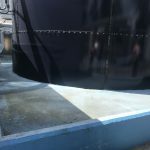 Lehane Environmental can provide for the External Tank Cleaning of all sizes of storage tanks and vessels no matter what height. Access to high tanks are carried out safely using MEWPs which are personnel are suitably trained in the use of. 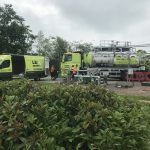 Lehane Environmental’s specialist tank cleaning team can provide for the safe decommissioning of all underground storage tanks. 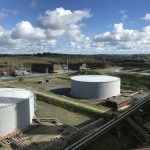 We are recognised nationwide as the industry leaders in safe decommissioning procedures and have been called in to many sites after other contractors have attempted to decommission tanks with disastrous results. 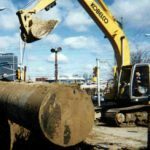 Similar to our “ONE”, Lehane Environmental’s Total Waste Management Service, we can also provide a turnkey solution for your tank cleaning project. Using our Turnkey Tank Cleaning Solution, we bring a valuable asset to your activity – greater control of costs. 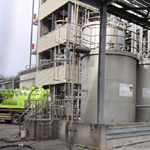 Lehane Environmental is one of a few companies in Ireland who can provide for the safe cleaning, neutralisation and decommissioning of chemical, acid and alkali tanks. The difference with our company is that we operate our own fleet of specialist Tank Cleaning equipment.